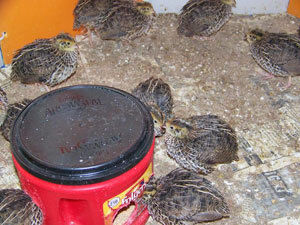 50 Coturnix Quail eggs ordered from a breeder in Louisiana (received 60). After two 'oops', 58 were put in the incubator. Only 21 hatched and lived. Many say to expect a 50% hatch rate of shipped eggs. As an experiment, we purchased 36 mixed quail eggs from a local breeder. 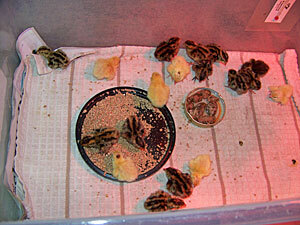 Only 20 of them were 11 grams or larger, so those were put in the incubator (the rest were delicious!). Of those 20, 18 hatched yesterday, 02/10/16. Lost a white one on 02/15/16. Still an excellent hatch rate. 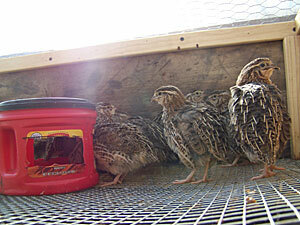 All quail were dispatched in mid-May. They are high maintenance, eat a ton of food and draw A LOT of flies; not to mention the small amount of meat per bird. The dogs and pigs enjoyed the tiny eggs though. 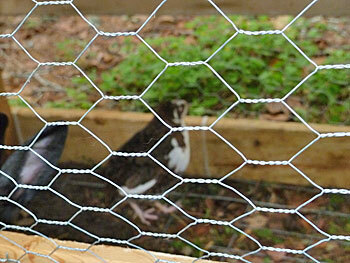 We did keep two quail, a Tuxedo quail (named Miss Q) and a white Texas A & M quail. Both were rescued from the others due to very bloody heads. Who knew Coturnix Quail were prejudice?! Thank you for your interest; we have sold all the quail.